Thank you to TapHanger for the product. All thoughts and opinions are my own. Do you dread hanging pictures on your walls? I do only because I tend to change my mind. I then have holes to patch then paint over if I don't cover them up with something else. 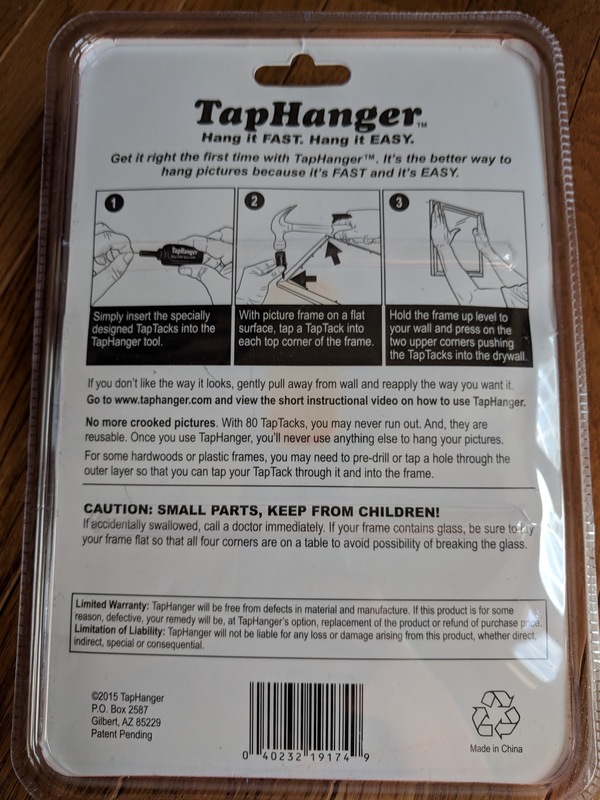 No more large holes with TapHanger! I didn't believe it could be so effective, but it proved me wrong. I really appreciate this product as I can be indecisive so frequently with decorating. TapHanger boasts being able to hang pictures in about one minute. 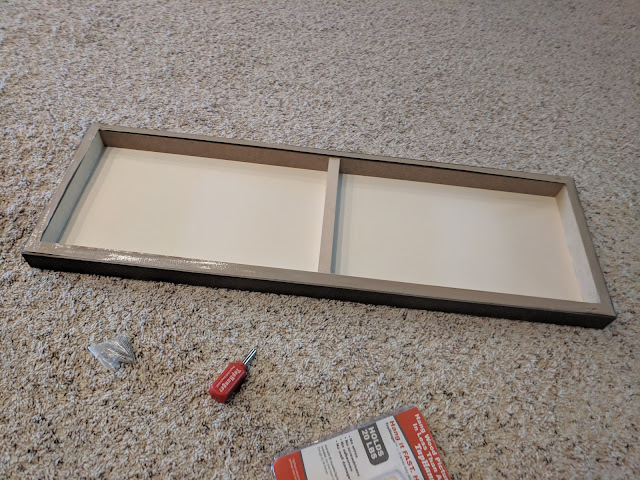 With three simple steps, you can hang your favorite pictures on the wall. 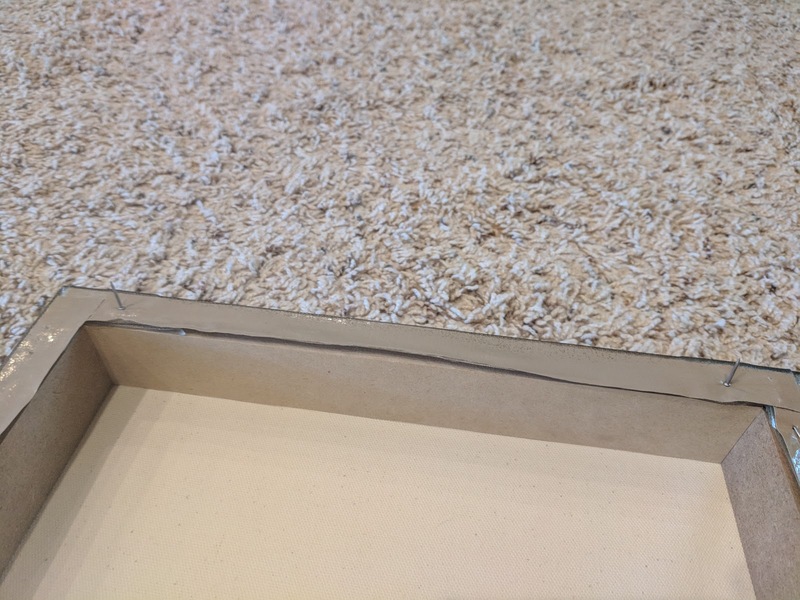 If you change your mind, there is little to fix, if any, because the TapTacks are so small. And don't worry, they still hold up to 20 pounds. I will tell you that I was able to hang my picture in roughly about a minute. It was amazing! 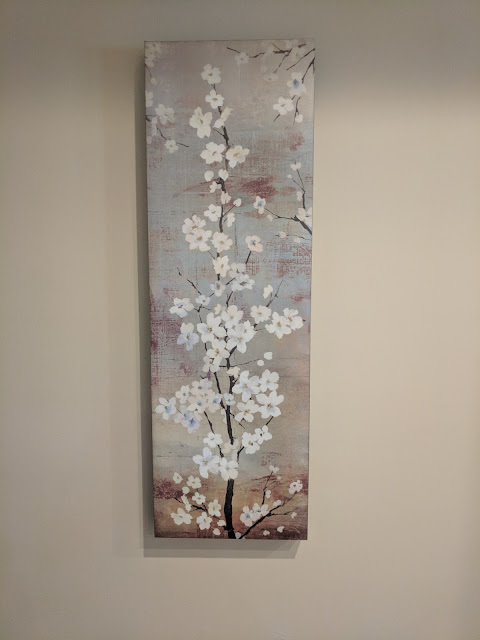 I repainted my living room and hallway about a year ago and never hung anything back up because I was dreading it. Now that I have TapHanger, I can hang everything again! I don't have to worry if I change my mind because the TapTacks are so small. The directions seem so easy...and they are! 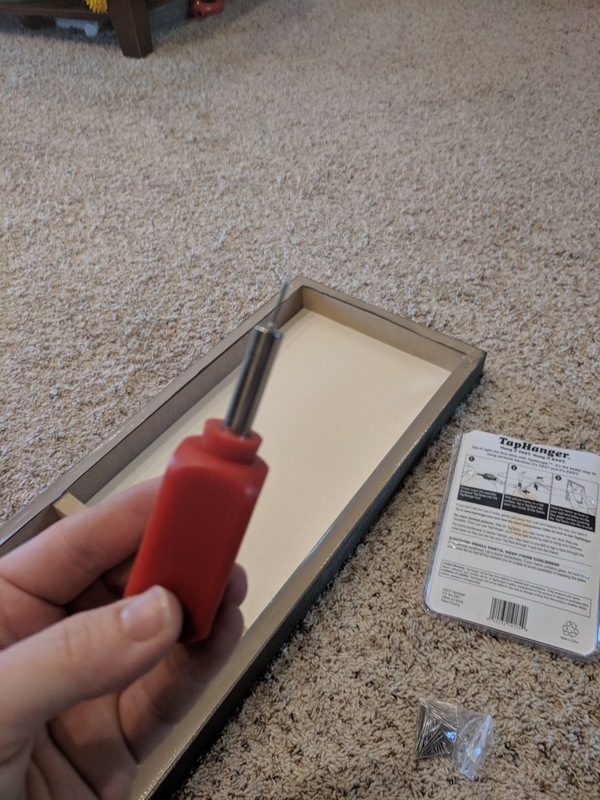 What you get with the TapHanger kit. You'll also need a hammer. You can purchase TapHanger for $12.99 on Amazon. This includes the TapHanger and 80 TapTacks. Very affordable and very effective. 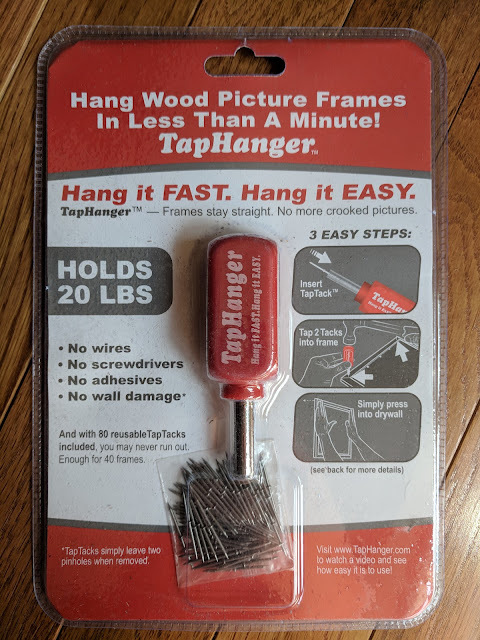 If you struggle to hang items on the wall or are simply looking for a faster way to decorate, check out TapHanger.